The Whalley Range X Factor competition is back for 2019! Heats will take place Monday 4/2/19 – Friday 8/2/19, with the grand final on Thursday 14/2/19. All tickets for the X Factor Heats will be on sale in the dining room at lunchtimes for 25p each. 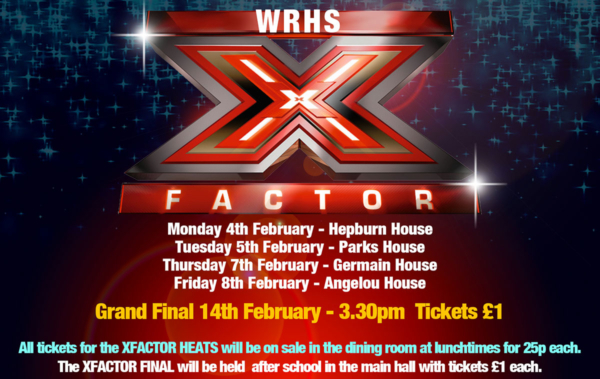 The X Factor Final will be held after school in the main hall with tickets priced at £1 each.